Your personal message will be sent to Saksa Funeral Homes and then given to the family of the deceased. John Raymond Wise, 57, of Pontoon Beach, Ill., formerly of Venice, Ill., born on September 10, 1959 in Venice, Ill., passed away at 6:06 p.m. Thursday, Augusts 24, 2017 at Gateway Regional Hospital ER, Granite City, Ill.
John was in the Marine Corps from 1978 to 1984. He worked as a dock supervisor at Conway Motor Freight and was a chauffeur for 22 years and retired in 2015. John loved to ride his Harley in his free time. Preceded in death by his wife, Virginia Sue Swaringim, whom he married on August 25, 1979 in Glover, Mo. ; and his parents, John Wise and Martha Gibson. 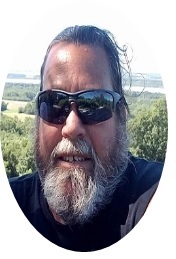 Surviving him are his children, John (Alicia) Wise Jr. of Potosi, Mo., Stacey Wise of Pontoon Beach, Samantha (Fiancee, Matthew Parsons) Wise of Potosi, Mo. and Amber (special friend, Collin Spier) Hammond of Alton, Ill.; Cindy Lankford of Pontoon Beach; sisters, Theresa Wise and Patricia Wise of Alton; grandchildren, Justin Wise, Tayler Hancock, Allyce Hammond, Johnny Wise, Aiden Hanebrenk, Bentley and Landon Parsons and Emmett Spier; many nieces and nephews; and his beloved dog, "Liza-Jane". In lieu of flowers please send memorials to Breast Cancer Research. Visitation: Visitation from 4 to 8 p.m. on Monday, August 28, 2017 at Thomas Saksa Funeral Home, Granite City. Services: Funeral at 9:45 a.m. Tuesday, August 29, 2017 at Thomas Saksa Funeral Home, Granite City, Ill., with Rev. Henry Crippen.